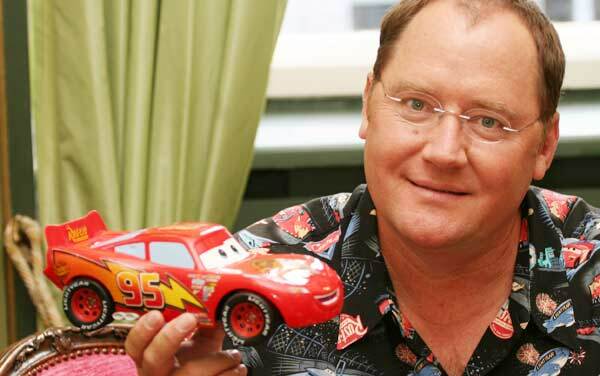 As if we did not already know how powerful John Lasseter was (he is essentially in charge of Pixar and Disney Animation’s creative processes), Vanity Fair has once again named the visionary as one of the most influential people in the world. Each year, Vanity Fair creates a list of who they find to be the “buccaneering visionaries, engineering prodigies, and entrepreneurs” and publishes it in early September. Read on to see who beat out Lasseter and who he came out on top of. Number one on the list (via The Pixar Blog), for two years running, is Facebook founder Mark Zuckerberg. Following him is the who’s who in tech these days – Sergey Brin and Larry Page of Google, Jeff Bezos of Amazon, Tim Cook and Jonathan Ive of Apple, and Jack Dorsey of Twitter and Square. John Lasseter comes in at number 8, and is the top creative individual on the list (creative industries being film, TV, books, music, etc.). Last year, Lasseter was listed at number 12 along with co-workers Brad Bird, Pete Docter, and Andrew Stanton, all who are currently directing films. While Brad Bird is directing Mission Impossible for Paramount and Andrew Stanton is at the helm of John Carter for Disney, Docter is currently working on The Untitled Pixar Film That Takes You Inside The Mind which is due in 2014. Further down on this year’s list is “Harry Potter” author J.K. Rowling, and directors/producers Judd Apatow and J.J. Abrams. To check out the complete list, visit Vanity Fair’s official website.